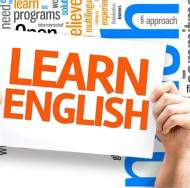 Learn English love English conducts classes in Class 10 Tuition, Class 11 Tuition and Class 12 Tuition. It is located in Raja S C Mullick Road, Kolkata. It takes Regular Classes- at the Institute. It has got 1 reviews till now with 100% positive feedback. "English is the most important language in world.all country's are using common language in English. But so many people's are non study in this language. No writing, speaking etc.learn english is the good opportunity for the studying English grammar and other techniques. "